Jonas Andersson is senior portfolio manager and the lead portfolio manager of Alfred Berg Fastighetsfond Norden. He joined Alfred Berg in 2016. Jonas has 20 years of industry experience from the financial markets, with focus on real estate equities, and a further 5 years of experience from the real estate and construction industry. He has held positions as senior equity analyst within Hagströmer & Qviberg (1997-2000), ABG Sundal Collier (2004-2009), Nordea (2000-2004, 2009-2014) and recently within Danske Bank (2014-2016). At Nordea he also held the position as head of equity research (Sweden). Before working within the financial industry, Jonas was deputy science attaché at the Swedish embassy in Bonn, with responsibility for the monitoring of the world wide construction sector (1992-1997). 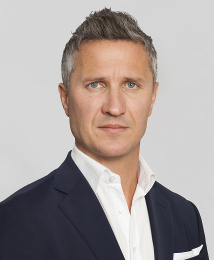 Jonas has also worked as construction consultant (BKR, 1991-1992). 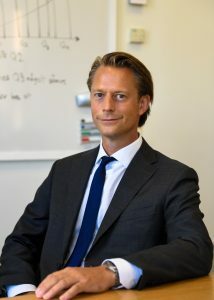 Jonas holds a master of science in civil engineering (LTH, Lund and ETH, Zürich) and is a certified financial analyst (CEFA, Handelshögskolan in Stockholm). 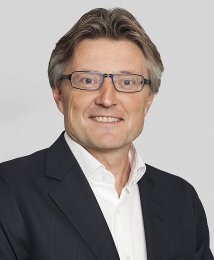 Leif Eriksrød is a senior portfolio manager and heads the Norwegian equity team. He co-manages Alfred Berg Gambak, Alfred Berg Aktiv, Alfred Berg Norge, Alfred Berg Indeks, Alfred Berg Nordic Best Selection, Alfred Berg Kombi and Alfred Berg Optimal Allokering. Leif joined Alfred Berg in 2010. Prior to joining Alfred Berg, Leif worked as portfolio manager at Delphi where he built a strong track record within Norwegian equities over the 12 years of his employment. Most recently he worked as investment manager with the Norwegian venture company Ventor AS and served as board member of the listed Swedish technology company Anoto Group. Leif is Siviløkonom from BI Norwegian Business School in Oslo. 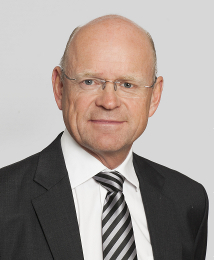 Dan Falkeborn is the lead portfolio manager of Alfred Berg Korträntefond Hållbar, and also co-manager of Alfred Berg Ränteallokering Plus together with Stefan Larsson. He is responsible for portfolios with short duration risk. Dan’s main responsibilities within the team are analysis of municipal and mortgage bonds. He is also responsible for the implementation of model portfolios and the market coverage. Dan joined Alfred Berg in 1995 as fixed income portfolio manager and fixed income trader. Having started his career in 1984 as trader within fixed income, Dan has over 30 years of investment experience. From 1987 to 1995 he worked at Nordbanken as interbank trader and held the position as head of interbank trading as well. Dan earned his bachelor’s degree in economics from Uppsala University. Lisbet Flugsrud works as senior credit analyst in the Nordic high yield team. She joined Alfred Berg in 2004. Lisbet started in the branch in 1988. Prior to joining Alfred Berg after 5 years as portfolio manager in SpareBank1 Active Management, she was portfolio manager in Norwegian Skibshypothekbank as well as within Cooperative Insurance. She has also taken care of the treasury function in the Norwegian Government Funding Agency. Lisbet holds an MBA from Schiller International University of London and Copenhagen Business School, in addition to being Authorized NFF Fixed Income Analyst. Dan Fredrikson is senior portfolio manager and lead portfolio manager for Russian equities, in particular of the Swedish domiciled fund Alfred Berg Ryssland. In 2002 Dan joined Alfred Berg as result of the Alfred Berg partnership with Länsförsäkringar (LF). Dan started his career in 1989 at Nordiska Fondkommission AB as stock broker. He then moved to NeoNet Securities AB before he joined LF in 2001 as head of trading for Swedish equities and portfolio manager. Dan holds a master’s degree in economics and business administration from Stockholm University. Maria Granlund is the lead portfolio manager of the Alfred Berg Income fund since 2014. 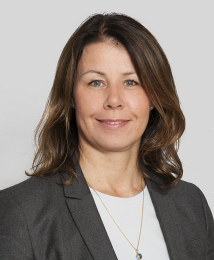 She joined Alfred Berg in 2013 and besides portfolio management duties she is also responsible for credit analysis within Nordic high yield investments. Since starting her career in asset management in 1998, Maria has been working with credit analysis focusing on Nordic and global high yield, in the beginning at Nordea Markets in Stockholm and Oslo. Before joining Alfred Berg, Maria worked as a credit analyst at ABG Sundal Collier in Oslo. Maria holds an MBA from Umeå University and is also Interest Rate Analyst authorized by Norske Finansanalytikeres Forening (NFF). Torolv Herstad is portfolio manager in the Norwegian fixed income team. He co-manages the following funds: Alfred Berg Pengemarked, Alfred Berg Likviditet, Alfred Berg Obligasjon, Alfred Berg Obligasjon 1-3, Alfred Berg Obligasjon 3-5, Alfred Berg Kort Obligasjon, Alfred Berg Kort Stat and Alfred Berg OMF Kort. Torolv started as investment specialist for Alfred Berg Norway in 2012. Torolv has investment experience since 2010 from both equity and fixed income markets, through positions in both Nordea Investment Funds and Oslo Stock Exchange. His previous work experience also includes equity sales and consultancy. Torolv holds a master’s degree in economics and finance from the Norwegian School of Economics (NHH)/University of Western Sydney in addition to being Authorized NFF Fixed Income Analyst. Tom Hestnes is senior portfolio manager in the Nordic high yield team. He joined Alfred Berg in 2015. Tom is responsible for our Nordic high yield strategy. He takes also a central role in building investments and investment products in the alternative investment segment. Tom manages Alfred Berg Nordic High Yield and Alfred Berg Høyrente. Prior to joining Alfred Berg, Tom worked as head of DCM Corporate Finance at SpareBank 1 Markets. 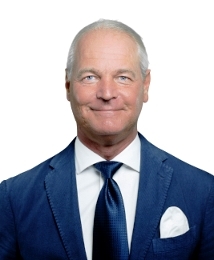 Having started his career in the bond markets in 2001, Tom has previously held senior roles within high yield advisory/corporate finance with several brokerage houses in Norway including Swedbank First Securities and Arctic Securities. Tom holds a master’s degree from the BI Norwegian Business School in Oslo. 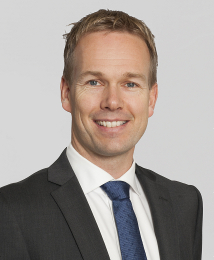 Henrik Emil Høyerholt joined Alfred Berg in August 2016 as a Senior Credit Analyst. Høyerholt holds a Master of Science Financial Economics (MScFE) degree from the Norwegian Business School (BI), as well as being a certified Financial Analyst from the Norwegian School of Economics (NHH). Høyerholt has experience from the financial markets since 1998, whereof he has dedicated his work to the bond market since 2002. 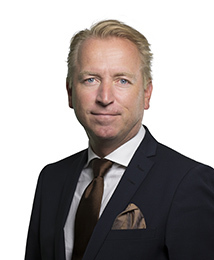 Høyerholt has previously worked for Norges Bank Investment Management (NBIM) in London as Head of Credit Research, in addition to other asset managers and brokerage houses in Norway. 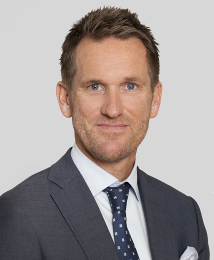 Stefan Larsson is Head of Swedish Fixed Income and has overall responsibility for performance of all institutional mandates within Swedish Fixed Income. 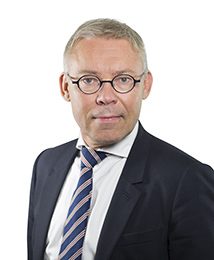 He is responsible for portfolios with long duration risk and the lead portfolio manager of Alfred Berg Företagsobligationsfond Hållbar and Alfred Berg Obligationsfond Plus Hållbar. He is also co-manager of Alfred Berg Ränteallokering Plus. Stefan has investment experience.since 1995 when he started his career at Folksam as a quantitative analyst focusing on strategic portfolios. Between 1997 and 2005 Stefan worked at AFA Försäkring, first as a strategist / analyst before he in 1999 become a portfolio manager within fixed income / currencies. Stefan joined Alfred Berg in March 2015. Previously he worked at Första AP-fonden (AP1) where he since 2005 worked as portfolio manager / analyst within the team for fixed income / currencies. His main responsibilities was to contribute to the overall position analysis within the portfolio of fixed income and currencies with a focus to credit risk. Stefan has a Master of Science, Engineering Physics, from KTH Royal Institute of Technology in Stockholm in applied mathematics. 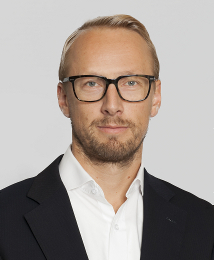 Jonas Olavi is Nordic head of tactical asset allocation. He joined Alfred Berg in 2015. 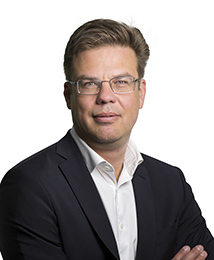 During his career Jonas has been managing discretionary mandates as well as mutual funds.Most recently Jonas worked at Nordea Bank as chief equity strategist since 2010. Having joined Nordea in 2005 as CRM, he shifted into Nordea Private Banking to be senior private banker before becoming equity strategist within Nordea Wealth Management in 2007. Jonas has investment experience since 1996 in the financial markets. Jonas started his career as senior account manager at Fairbank Currency Exchange Gothenburg AB before joining Delphi Placeringsrådgivning AB where he held several managerial positions until 2003. Jonas holds a master’s degree in economics from the University of Lund. Cecilia Persson is senior financial analyst. 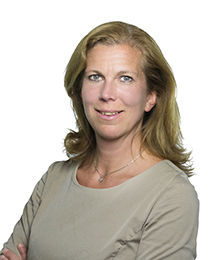 She has been with Alfred Berg equity department since 1998, mainly as analyst but also as portfolio manager within Swedish and European equities. 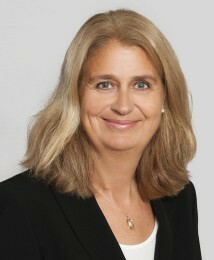 Before joining Alfred Berg, Cecilia worked at Rosenstiels, Swedbank Markets and Cabanco Fondkommission. Cecilia earned her master’s degree in financials from Stockholm University. She is also Certified European Financial Analyst (CEFA) from Stockholm School of Economics. Johan Stein is portfolio manager for Swedish and Nordic equities and the fund Parvest Equity Nordic Small Cap. Johan joined Alfred Berg in 2016 and prior to that he worked as an independent financial consultant. Johan worked for Nordea Investment Management during the period 2001 to 2012. During the period 2001 to 2003 he was Head of research and between 2003 and 2005 Head of Nordic equities and hedge funds. Between 2004 and 2012 Johan was portfolio manager for Institutional clients and European Mutual funds. Johan has been a teacher and researcher at Stockholm School of Economics for 10 years. He received a Phd in 2001 and was later appointed Associate professor. 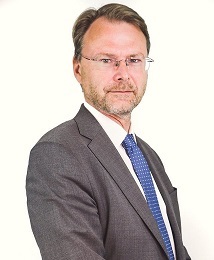 Morten Steinsland was appointed as head of the Norwegian fixed income team and senior portfolio manager in 2010. He co-manages several funds: Alfred Berg Pengemarked, Alfred Berg Likviditet, Alfred Berg Obligasjon, Alfred Berg Obligasjon 1-3, Alfred Berg Obligasjon 3-5, Alfred Berg Kort Obligasjon, Alfred Berg Kort Stat and Alfred Berg OMF Kort. 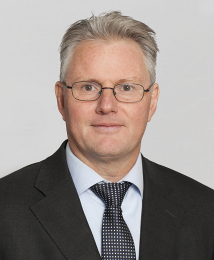 Having started his career in 1985, Morten has, for example, been vice president and head of U.S. fixed income investments in DNB Asset Management in New York for 5 years. He has also worked as head of global fixed income investments for DNB Asset Management in Oslo for several years. Morten’s earlier experience includes also 5 years as head of Norwegian money market and swap trading at Nordea Markets in Oslo. Morten holds a master’s degree from the Norwegian School of Economics (NHH). Stig-Arild Syrdal was appointed as portfolio manager in Alfred Berg’s Norwegian equities team in 2015. He has worked for Alfred Berg also from 2007 to 2012. He co-manages Alfred Berg Gambak, Alfred Berg Aktiv, Alfred Berg Norge, Alfred Berg Indeks, Alfred Berg Nordic Best Selection, Alfred Berg Kombi and Alfred Berg Optimal Allokering. He has earlier asset management experience from Norge Bank Kapitalforvaltning, Det Norske Veritas and Torvald Klaveness. Stig-Arild holds a sivilingeniør degree from Norges Teknisk-Naturvitenskapelige Universitet i Trondheim/University of California, Berkeley as well as a master’s degree (cand.merc.) from the Norwegian School of Economics (NHH) in Bergen. Ulf Torell is portfolio manager of Swedish tactical asset allocation (TAA) portfolios. Within the TAA team he is responsible for the analysis of global macro, equity direction, regional equity-, sector- and currency strategies. Ulf joined Alfred Berg in 2010. Ulf has investment experience since 1997. 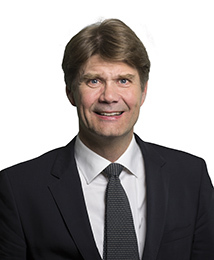 Prior to joining Alfred Berg he was equity strategist at Ålandsbanken. He has also worked as portfolio manager at Erik Penser Fonder. He started his career as fixed income and currency analyst at Swedbank and SEB. 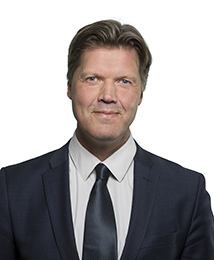 Ulf holds a bachelor’s degree in economics from Uppsala University and a licentiate degree in financial economics from the University of Gothenburg. Petter Tusvik is a senior portfolio manager in the Alfred Berg Norwegian equities team. He co-manages Alfred Berg Gambak, Alfred Berg Aktiv, Alfred Berg Norge, Alfred Berg Indeks, Alfred Berg Nordic Best Selection, Alfred Berg Kombi and Alfred Berg Optimal Allokering. He joined Alfred Berg in 2000. 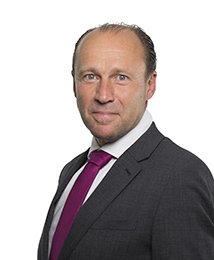 Before joining Alfred Berg, Petter was fixed income portfolio manager at Oslo Fond Forvaltning. He started his career in 1994 and has also worked as fixed income portfolio manager at DNB. Petter graduated from the Oslo Economic College and has received further training at the Oslo Bank Academy. Mats Wandrell is head of the emerging Europe team and the lead portfolio manager for emerging Europe equities, in particular of the Luxembourg domiciled Parvest Equity Europe Emerging fund. He joined Alfred Berg in 2015. Mats has started his career in 1995 as European equity analyst at Nordea Investment Management. Later on he became fund manager for Nordea Eastern European Fund. In 2002 he joined Swedbank Robur to become co-responsible for all Eastern European equity funds. In 2007 Mats co-founded and worked as CIO for EME Partners, a long/short equity manager specializing in emerging Europe including Russia and Turkey. In 2013 he became portfolio manager at Ålandsbanken with focus on emerging markets. Mats holds a bachelor’s degree in economics from Stockholm University. Mikael manages the Alfred Berg Företagsobligationsfond Hållbar fund and is also co-manager for Alfred Berg Ränteallokering Plus together with Stefan Larsson and Dan Falkeborn. Within the Fixed Income team Mikael is responsible for managing credit bonds and the overall credit exposure. His responsibilities also include position analysis within fixed income and currencies. Mikael joins us from Naventi fonder, where he has been responsible for the construction of, and management of their fixed income- and credit portfolios. Mikael has 15 years of international experience managing fixed income and credit portfolios as well as FX risk management and analysis, gained with his previous work for IKEA Global Treasury in Switzerland and Belgium. Mikael has a Bachelor’s degree in economics and business administration from Högskolan i Skövde and University of Bournemouth, UK.